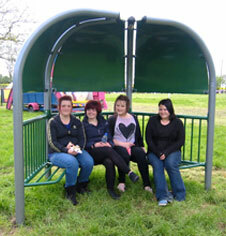 High quality steel anti vandal constructed weather shelter for up to 5 persons. 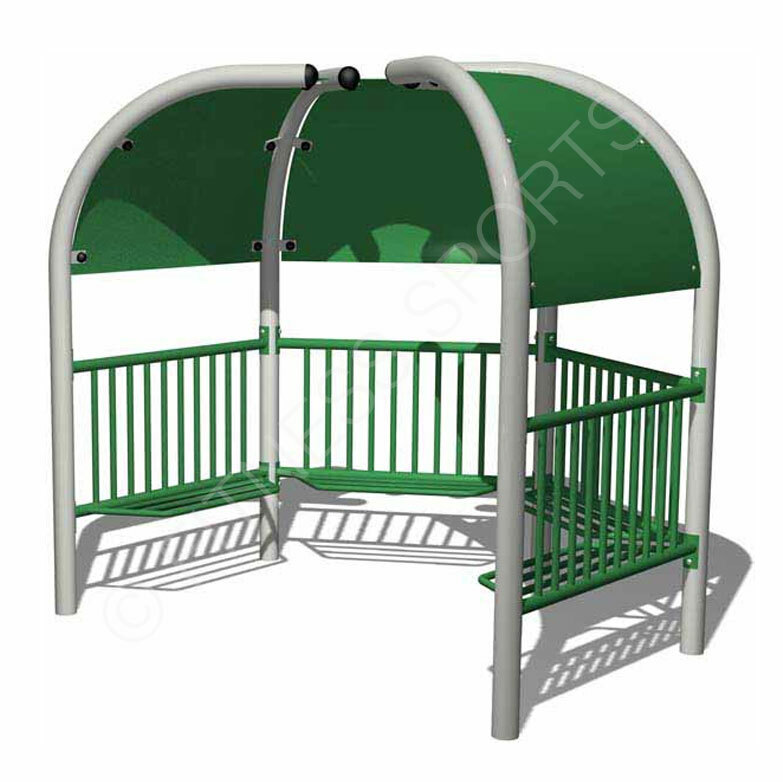 Features and all steel construction which is made from coated tubular steel to offer a rubust all weather placement suitable for both schools and public recreation areas. All colours are available. Sizes from two person, four person and five person weather shelters. Minimum maintenance with a 25 year steel guarantee. See also* Sports shelters. Steel rain and weather shelters are fitted directly into cement foundations of 0.85m x 0.85m deep. We are very much enjoying the artificial cricket net area we recently had installed – the bounce is true and the steel batting cage of good quality..